The latest Mori megaplex finally opened its doors earlier this week in Ginza, and it’s looking swanky. 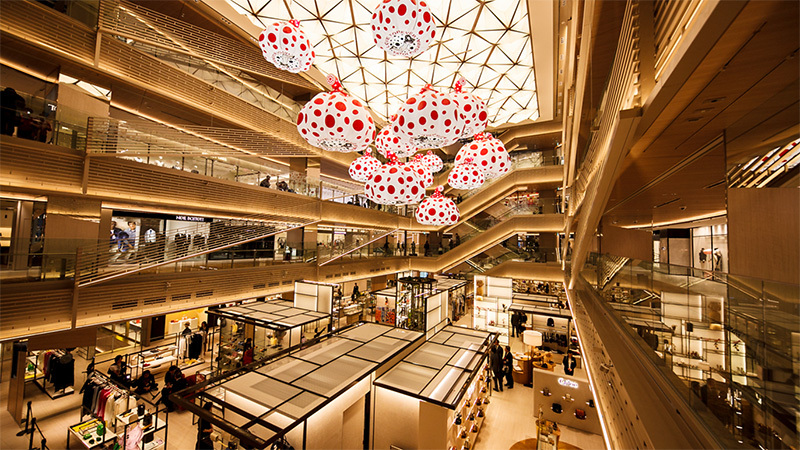 In terms of branding, what Murakami did for Roppongi Hills, Ginza Six instead gets a dotted Yayoi Kusama treatment. Take a look at a few of the highlights from Time Out Tokyo — the rooftop terrace is supposed to be pretty great.